Anne was the second daughter and, with her elder sister Mary, the only other surviving child of James VII’s first marriage to Anne Hyde. 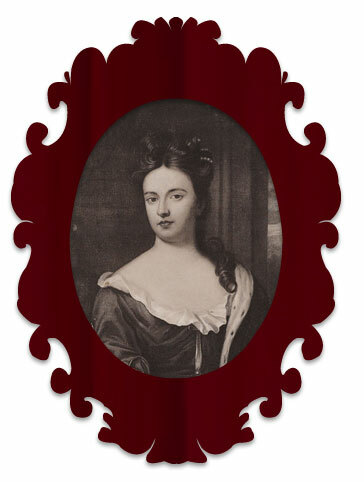 Despite her father’s wishes Anne grew up with a strong Protestant faith. In 1680 it was rumoured she would marry Georg Ludwig, Prince of Hanover and future King George I but Charles II and her father refused the match. Another George, the Prince of Denmark became Anne’s husband in 1683. As Mary was unable to bear children the great hope for the marriage was to provide Protestant heirs to the throne. Despite seventeen pregnancies in as many years only five children were born alive and none lived beyond childhood. By the time Anne succeeded William as monarch in 1702 the succession in England had already been settled on the House of Hanover. Anne refused to admit her Hanoverian heirs into Britain in her lifetime but had no wish for the throne to pass to her half-brother James on her death. Under Anne the 1707 Act of Union uniting the Scottish and English parliaments was passed. Though it helped secure the Hanoverian succession it also gave the Jacobites something they could use to destroy it.